Lee Brown always delights in beautiful work and this stunning wallhanging is no exception. 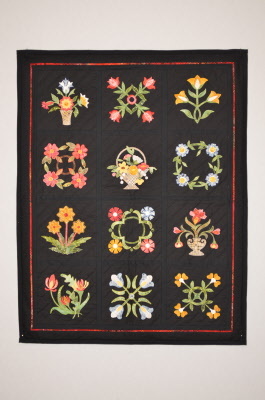 Dramatically set on a black bacground, the small fusible applique style baltimore blocks are great fun to make. The size of the wallhanging is 26 1/2 x 34 inches.